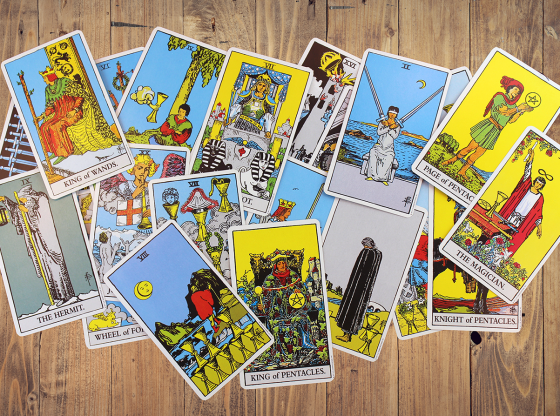 So many of life’s little problems are dependent on finances that it might shock some to learn that the Tarot deck’s card indicating wealth is also the card of conventional thinking. The Ten of Pentacles is a conservative card in thought and deed, but overflowing with material success. Who could foresee that it would be so boring to be rich! In the center of a busy town, people come and go. Two dogs heel at the feet of an older gentleman, his long white hair matched by a flowing cloak with an indistinct design implying the connection to a family of status. He is patting a pup on the head. Coats of arms are inscribed on the pillar of an archway under which some people walk by, a child staring at the viewer of the card has his hand near the other dog’s tail. There is little distance between the man in front of the archway, the pedestrians and their child under it and the taller buildings and shrubbery of the town square beyond it. Superimposed over the scene are ten golden pentacles. The scene is most definitely right in the middle of the action and yet, it is quite an ordinary moment. The old man and the child reveal a cycle of life metaphor as each are petting opposite ends of either dog, but overall there is an obliviousness to circumstances among these people and a generally boring atmosphere to this card. In a world of material security without strife or insight, the day-to-day routine is quite conventional. 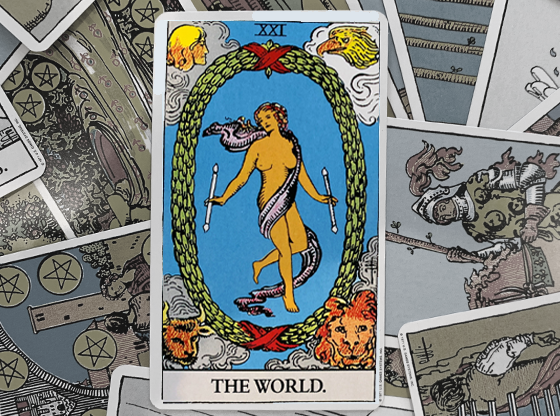 In many Tarot cards throughout the deck, we see a town off in the distance. 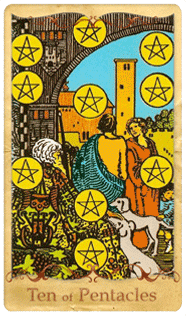 In the Ten of Pentacles, we are in the town square and comfortably secure in our surroundings. 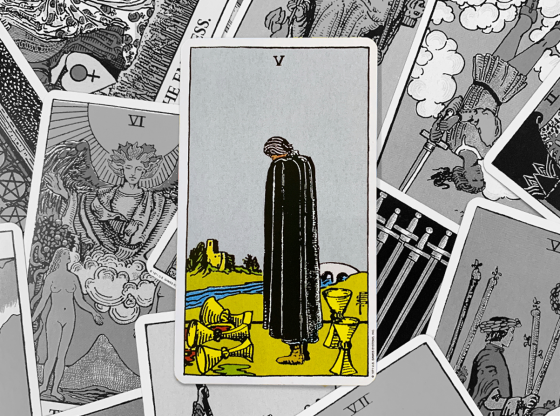 A Tarot card spread features revelations about the past, the present and the future. When the Ten of Pentacles appears in the past, it reveals that the foundation of your situation is material comfort. Perhaps you came from a wealthy family. Many poorer people in isolated areas raise their children without any mention of finances and these kids grow up quite well-adjusted as they assume that their humble beginnings are all one needs in the world. Conversely, some middle class backgrounds feature parents obsessed with wealth and social status. 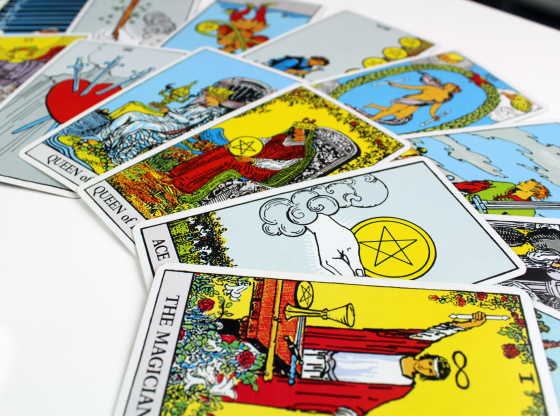 Each of these situations may bring about the Ten of Pentacles, and as different as they might be, they do let the person receiving the Tarot reading know that the attitudes toward money they learned in childhood still resonate in their lives today. If this card appears in the present, it describes either your finances or your current values. Abundance in money at the present may be leaving you wondering just who your friends are. Your values may be becoming quite conservative. Are you settling down or hiding out? Are you becoming stingier as you acquire more and more money? Are you so bored by an easy life that you are not challenging yourself to be all that you can be? 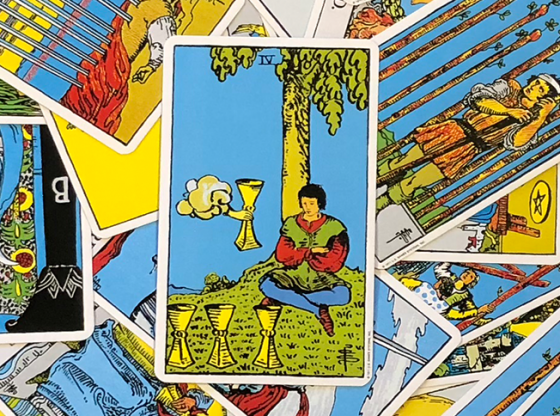 As inoffensive as the Ten of Pentacles is, its appearance in the present position in a Tarot card reading might be more of an indicator of you being a couch potato instead of developing yourself into a more dynamic, happy person. 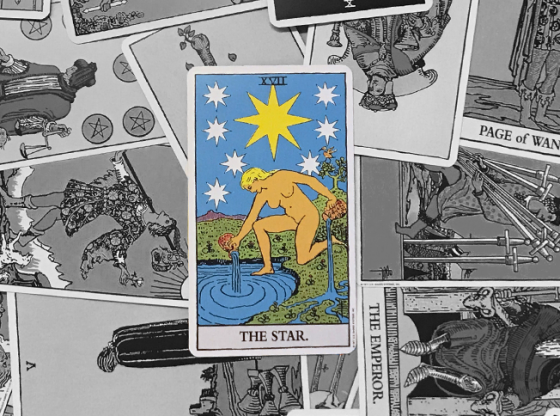 The Tarot will remind you that playing it safe is often detrimental to your overall well-being. The Ten of Pentacles is a great card to have in the future position if your reading concerns a business venture that is just getting underway. It is one of the best cards to appear in a marriage reading. 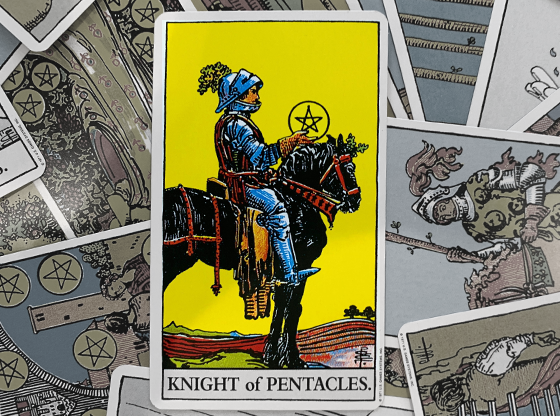 Remember, though, that the Ten of Pentacles describes your finances and your values, it is not a card that gauges happiness or emotional fulfillment. In fact, instead of being a card of living happily ever after, it might better be described as a card of living securely discontented and too conservative to pursue true happiness. 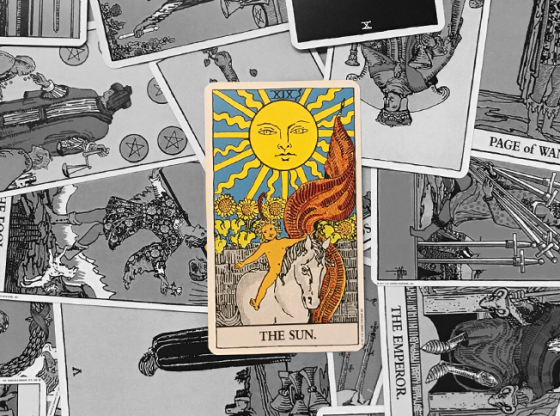 Each Tarot card tells a story and the cards nearest to it fill out the details. When the Ten of Pentacles is in a reading with many other cards from the suit of Pentacles, money matters are all the more emphasized. When there are many Cups cards in a reading with this card, your emotions are tied to your finances – perhaps a lover is actually only in love with your bank balance. If your reading features Swords in other cards, perhaps you are in the middle of a fight over an inheritance with some of your siblings. Wand cards abounding in a reading with the Ten of Pentacles indicate that there are many opportunities to turn your ideas and creativity into money. Look around for all those chances the universe is giving you! When the Ten of Pentacles is paired with some of the more conservative cards in the Major Arcana, the effect can be to hold you back in either a state of lazy comfort or apathetic indecision. 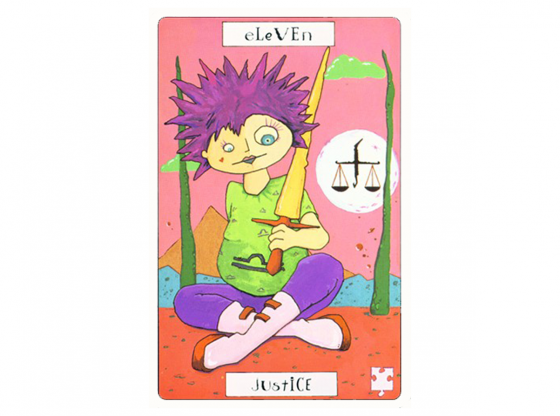 Temperance is a card of behaving one’s self, but paired with the Ten of Pentacles, comfort almost becomes your enemy. When The Emperor card is drawn alongside the Ten of Pentacles, your ego takes on an attitude of imperiousness due to a feeling of superiority because of your wealth or current material advantages. The Hierophant is another card that adds to the conservative nature of the Ten of Pentacles, but indicates spending your resources on a church, a club or a political party. One card that is great to appear in a reading with the Ten of Pentacles is Death. This is a scary card by its very nature, but it signals a financial transformation is on the way. It could very well indicate the death of your poverty. 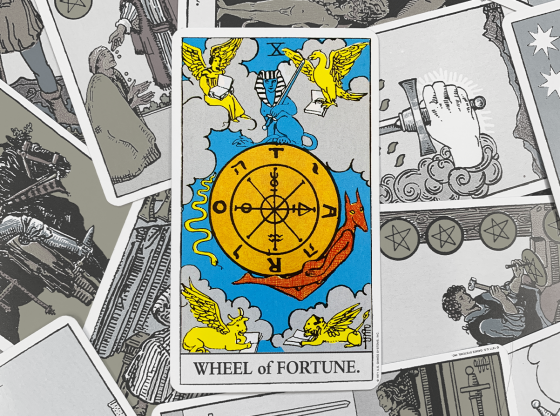 When The Chariot or Wheel of Fortune card appear in a reading with the Ten of Pentacles, look for your financial situation to change, and to change quite rapidly. With The Chariot, you will have a great insight about what to do with your money. With the Wheel of Fortune, you will see a grand shift in the way you conduct yourself as your finances are altered.